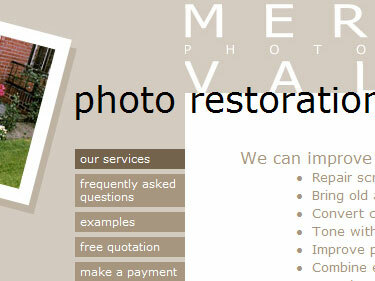 MVP offers my photo restoration and image engineering services, as well as a range of prints, mugs, t-shirts and other photographic merchandise in my online selling gallery. This site is structured using css and was the first to be built using my webHarness content management system. As such it has already been through a few stylistic iterations and may undergo more in the future.